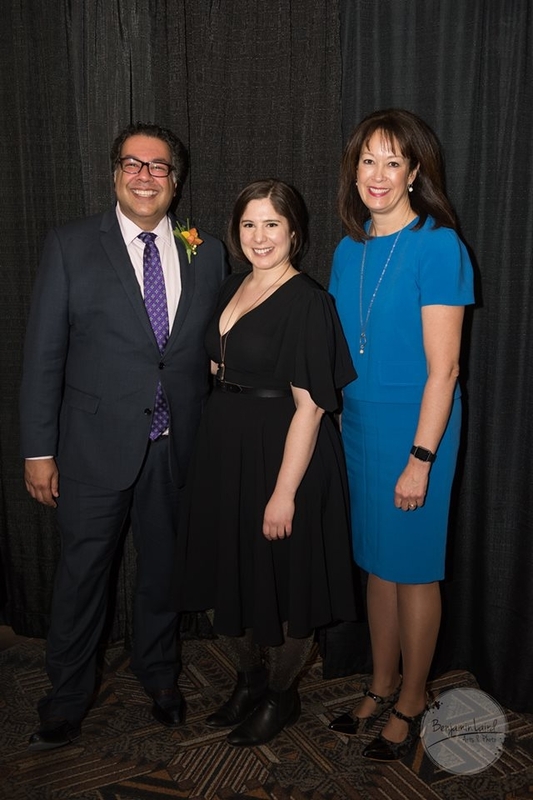 Back in April 2018, I had the honor of receiving the RBC Emerging Artist Award at the Mayor's Lunch for Arts Champions for my work as an artist and my contributions to the Calgary arts community. It was a bittersweet event filled with the arts community that I've grown to love so much and close friends who I spent the entire event making silly faces in between the speeches. For two months I had to keep the award a secret which was devastatingly difficult for me, I don't like keeping secrets especially good ones. I did cheat and tell my friend Christina who lives in Scotland about what was happening in Calgary and about how nervous I was about the whole thing. She was my dedicated secret keeper and I am so grateful for her patience for my neuroses. Here is the write up about the award! The best part about the awards ceremony was my place of work Arts Commons found out about me receiving an award the day before and surprised me by getting my parents tickets so they could experience the event. They even hosted my sweet parents at the Arts Commons table and got them name tags and everything! My parents felt very VIP treat and thought that this is what working in the arts is like every day. Another great highlight was I got to take photos with our beloved Mayor Naheed Nenshi who was once vote the world’s greatest Mayor! When we were taking photos I giggly said that it felt like we were taking prom photos together and Nenshi said that everyday feels like taking prom photos for a mayor. I thought that was cute. Anyways! Sometimes life as an artist is spending a copious amount of time alone in a messy studio having no idea what the fudging fudge you are doing so the few moments you have to be championed by your community and peers is unbelievably special!